← What Wouldn’t Jesus Do? While there have been some changes in environmental standards since then, communities of colour living in the States continue to be affected by environmental racism. There’s the more recent example of Hurricane Katrina, which devastated so many homes of black families that it led to this famous moment. Not only was the response to the disaster slow, but “institutionalized racial segregation of neighborhoods” meant that black families were living in the areas of lower elevation most affected by the hurricane. In fact, many communities of colour in America are still affected by institutionalized racial segregation today. 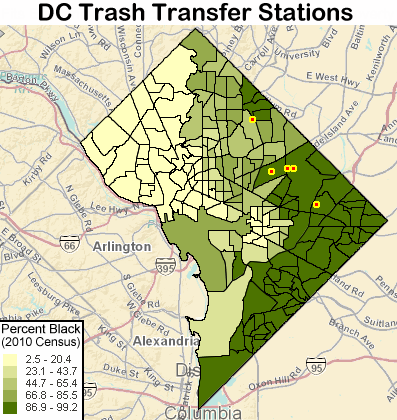 In places like L.A. and D.C., for example, waste facilities are still grouped around areas where people of colour live. Here in Canada, environmental racism tends to target First Nations communities more than any other group. 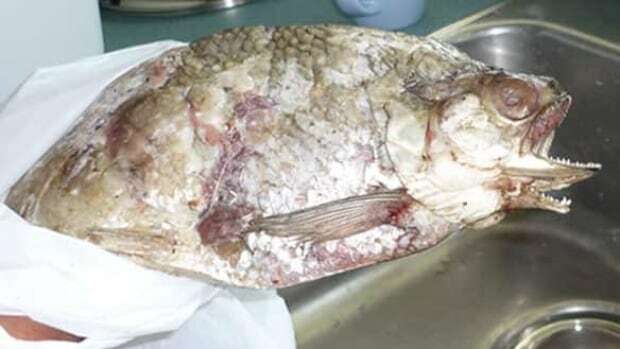 Deformities have been showing up more and more in the fish as well. Likewise, in Canada’s “Chemical Valley” the Aamjiwnaang First Nation have been experiencing “unusually low male birth rate and slew of other reported health issues”. Cloud Makers from Rachel Deutsch on Vimeo. There’s also the problem with access to clean water on many reserves. According to Health Canada data, “two-thirds of all First Nation communities in Canada have been under at least one drinking water advisory at some time in the last decade”. Some have been forced to boil their tap water for over 20 years. Often, when this issue comes up in a social discussion, settler-Canadians will blame reserve councils for not handling the issue first hand. What these Canadians don’t realize is that reserve governments are often caught between Federal and Provincial red tape when trying to resolve these issues. The problem of environmental racism here in Canada may have been one of the contributing factors for the massive liberal sweep we saw in this year’s election. Our new Prime Minister, Justin Trudeau, was one of the only candidates who promised to address the conditions on reserves, and in response, First Nations communities came out to the polls in droves. Environmental racism is still a formidable problem both in Canada and the States, yet it continues to be a concept that many people haven’t even heard about. As scholars and activists work to draw attention to these issues, one can only hope that those of us who aren’t directly affected might finally start to care. This entry was posted in Canada, environmentalism, race and tagged Aamjiwnaang First Nations, activists, African-American, Altgeld Gardens Homes, arrested, Athabasca Chipewyan First Nation (ACFN), boil tap water, Canada, cancer, care, chicago, civil rights, clean water, clergy, cloud makers, Compassion for Racial Justice, contaminated, contributing, D.C., deformed fish, drinking water, environmental justice, environmental racism, Environmentalist, facilities, first nations, Fort Chipewyan, George Bush hates black people, health issues, Hurricane Katrina, institutionalized racial segregation, issue, Justin Trudeau, L.A., liberals, low birht rate, oil sands, people of colour, pollution, Protest, racism, scholars, settler-Canadians, tar sands, toxins, Trudeau, United Church, Warren County PBC Landfill, waste facilities, WWII. Bookmark the permalink.